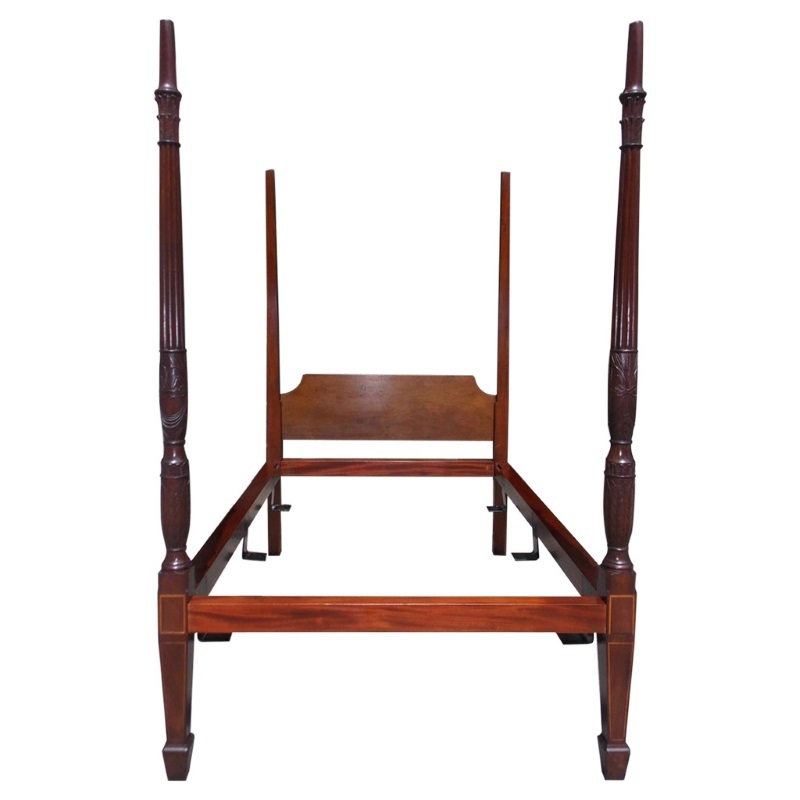 Charleston mahogany period four-poster rice bed with tapered head posts, removable mahogany head board, fluted decorative carved foot posts with acanthus, rice, ribbon, and tassel motif. Bed terminates on squared tapered legs with satinwood string inlay. Bed is queen-size and pictured in “The Furniture of Charleston" 1680-1820 Volume 2, Fig NB-24, Early 19th Century.